Welcome to the official web site of the Maryland Commission for Women. The Commission was established by the Maryland Legislature in 1971 with the mission of promoting the social, political and economic equality of Maryland women. The Maryland Commission for Women advises government, advances solutions, and serves as a statewide resource to expand social, political and economic opportunities for all women. One of the goals of the Commission is to bring information to Maryland women and girls including publications about women’s and girls’ issues and their rights, events, organizations, legislation and a community resources directory. 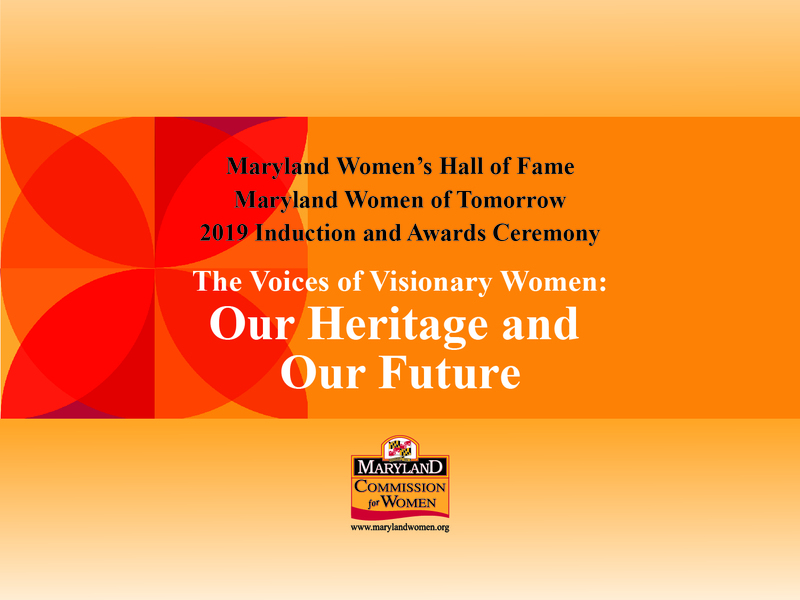 Come inside and meet the Commissioners and staff, and learn about the Commission’s programs, including the Maryland Women’s Hall of Fame, Women of Tomorrow Awards, and Maryland Women’s Heritage Center , as well as the Maryland Commission for Women Committees. We want to bring you the latest news about Maryland women and girls, but we need your help. Contact us to tell us about a program, organization or event that you believe will be of interest to Maryland women and girls. And, give us feedback on this site, so that we can improve it to meet your needs. The keys are here for you to unlock the door to the Maryland Commission for Women.